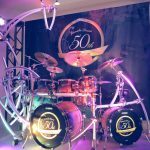 Yamaha Drums celebrate their 50th anniversary this year. Guess which company I visited first at the NAMM Show 2017? I got to see their new stuff as well as some of their legendary endorsers. 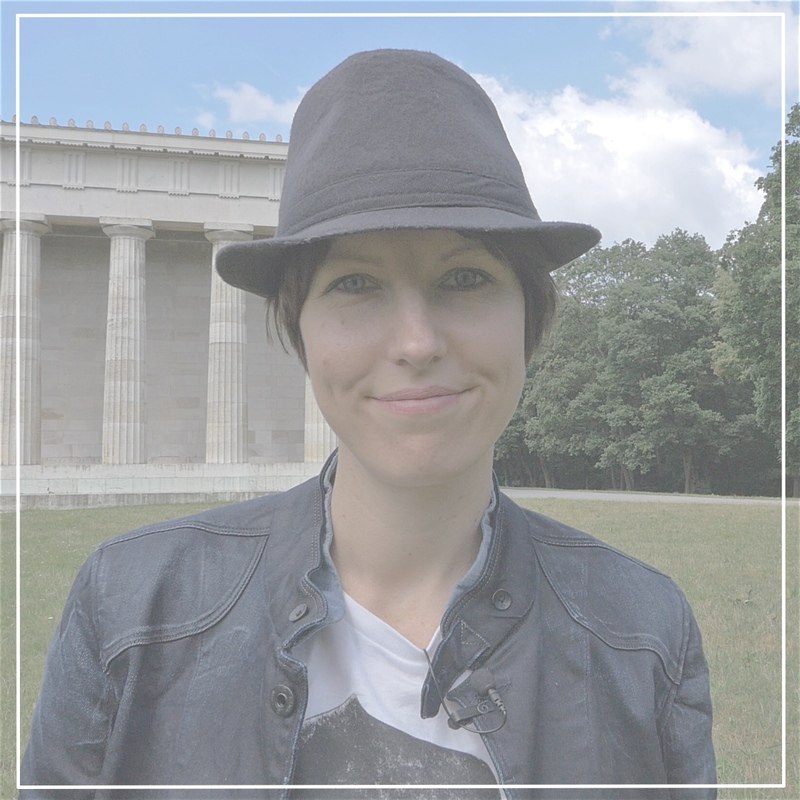 Follow me on my exclusive demo tour. 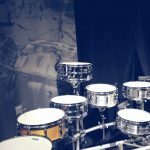 There are drum companies which have been on the market for longer than 50 years. 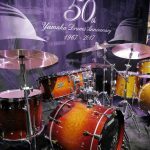 But between 1967 and 2017 Yamaha Drums made quite some history. Of course there is the worshipped Recording Custom YD9000 kit. And because I own one, for me personally the Hipgig stands out, too. But the list of drum sets made or developed in Japan is long – just as the list of artists, who love their Yamaha Drums. 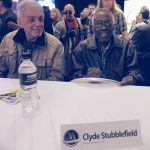 Ever ran into Steve Gadd, Steve Smith, Dave Weckl, Vinnie Colaiuta, Billy Cobham and Mark Guiliana in one day? For the NAMM Show in Anaheim USA is the most important trade event of the music industry, almost everybody is there. See and be seen. 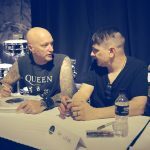 Also, if you are lucky you can have a quick talk to your drum heroes. Signing sessions are a great place for that. 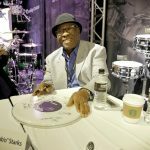 Therefore you bet, I went to the Yamaha room to see some serious drum cats sitting all on one table: the Funkmasters John “Jabo” Starks and Clyde Stubblefield, Hipgig idea generator Rick Marotta, Jerry Marotta, Dave Mattacks, Michael Baker, Ray Luzier, Dave Weckl and Steve Gadd. 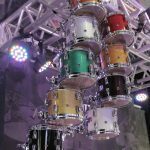 Have you always been playing the same brand of drums? For some drummers it takes a while to find what they like best. But even after many years drummers may change endorsers. 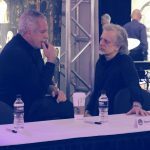 Have you noticed that Steve Gadd is with Yamaha for more than 40 years and Dave Weckl is counting more than 30 years? They are and they seem to be very happy. During the signing session I had the chance to ask them both the same question: “Why did you never switch to another company?” Find out what they replied in my video. 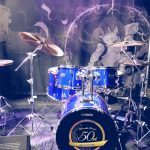 So, have a look into these Yamaha Drums. I found their triggers along with the app very interesting. If you like what you see, check them out in real life. Thanks for inviting me, Yamaha Drums Germany and Yamaha Drums USA.